The GVWR of this Travel Trailer is a sturdy 7500 lbs. and the hitch weight is 715 lbs. The 20' 0" power patio awning provides shade and comfort for outdoor living. 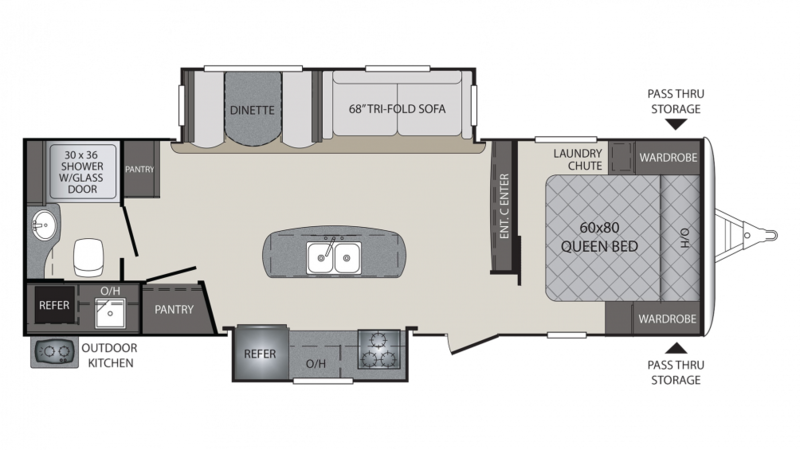 At a length of 31' 6" and a width of 8' 0", you'll enjoy plenty of living space in this Travel Trailer! There's room for the whole family to lounge comfortably, especially when the weather turns sour. But you'll have no worries there, thanks to the efficient 30000 BTU furnace and the modern 13500 BTU a/c unit! They'll keep the temperature indoors perfectly comfortable no matter what's happening outside! 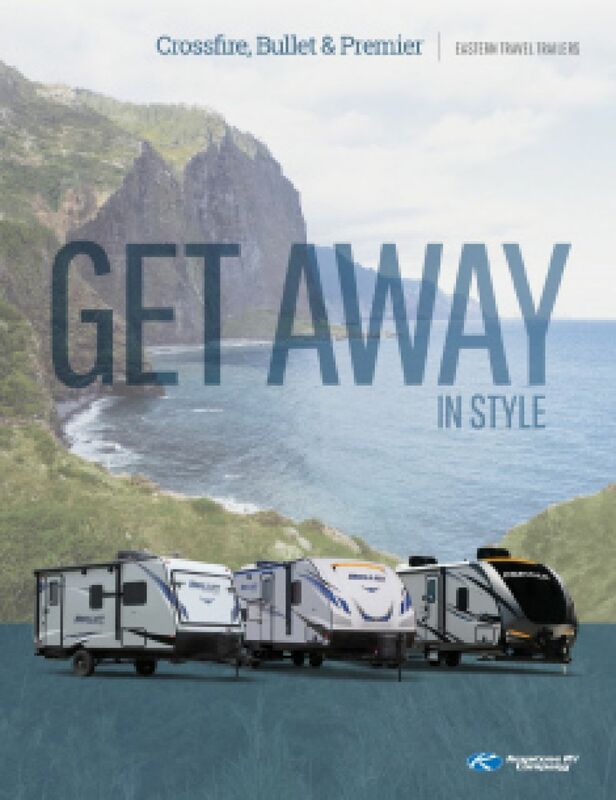 The 2018 Keystone Premier 26RBPR sleeps up to 5 people very comfortably, thanks in part to the roomy master bedroom it features. This beautiful accommodation has ample clothes storage as well as a regal Queen bed for a deep, restful night's sleep! Hiking, climbing, dirt biking, swimming, and other great outdoor activities always work up a powerful appetite, don't they? Thanks to the modern, fully appointed kitchen in this Travel Trailer, you can satisfy your whole family's hunger with delicious hot meals prepared on the 3 burner range cooktop, made from the fresh food stocked in the roomy 8.00 cu. ft. refrigerator! You'll be able to clean, quench your thirst, and cook with plenty of water from the 43 gallon freshwater tank! One of the features you'll really love is the great outdoor kitchen! Now, when the family is having fun in the sun, you won't have to trudge inside and miss any time with them. Pull out the easy to open outdoor kitchen and cook up delicious food in the sunshine and fresh air. It always tastes soooo good!